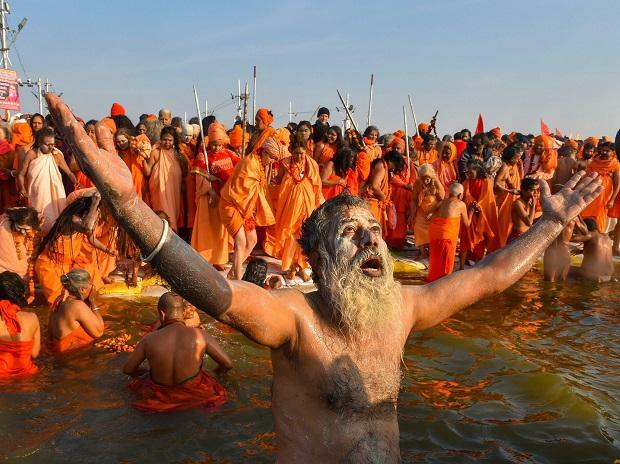 The Uttar Pradesh government has allocated Rs 4,200 crore for the Kumbh Mela being held in the 'sangam' city of Allahabad, which is over thrice the budget of the Maha Kumbh in 2013, making the mega pilgrimage perhaps the costliest ever. He said that apart from this, some other departments have also allocated funds for the mega event. This year's Kumbh Mela is spread over an area of 3,200 hectare as compared to 1,600 hectare area in the previous melas. The Kumbh Mela (the festival of the sacred pitcher) is anchored in Hindu mythology. It is the largest public gathering and collective act of faith anywhere in the world. Ardh Kumbh is held in every six years, while the Kumbh Mela comes after 12 years. In all there are six auspicious bathing dates in this Kumbh - Makar Sankranti (January 15), Paush Poornima (January 21), Mauni Amawasya (February 4), Basant Panchami (February 10), Maghi Poornima (February 19) and Mahashivratri (March 4).